Opportunity may be seeing the light again, a little sunlight that is. As the veteran Mars Exploration Rover (MER) slept in Endeavour Crater’s Perseverance Valley under the thick cloud of dust that has blanketed the Red Planet for the last six weeks, scientists who are studying the monster storm that forced the robot field geologist into its hibernation mode are now reporting the tempest has peaked. 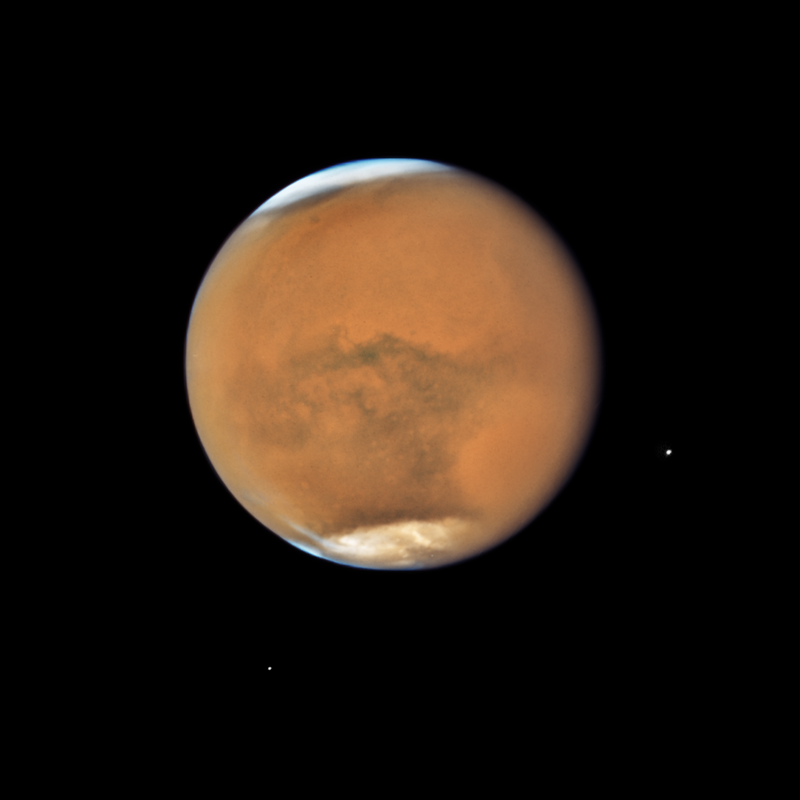 NASA’s Hubble Space Telescope photographed Mars on July 18, 2018 as it neared its closest approach to Earth since 2003. It was just 36.9 million miles from Earth. The Hubble captured the planet near its July 27th opposition, when the Sun, Earth and Mars are aligned. It’s springtime in southern hemisphere, where a dust storm ballooned into a global event in mid-June blanketing the planet. Even so, you can make out Hellas Basin, the bright, large oval area at the lower right, where many global dust storms originate. The orange area in the upper center of the image is Arabia Terra. South of that site, running east to west along the equator, are the long dark features known as Sinus Sabaeus (to the east) and Sinus Meridiani (to the west). Opportunity landed in the western portion of Sinus Meridiani, while her twin, Spirit, landed on the other side of the planet in Gusev Crater. The two small moons of Mars, Phobos (right) and Deimos (left), appear in the lower half of the image. “We’re pretty confident this storm is now in its decay phase, because the metrics are all pointing in the same direction: we’re starting to see surface features in more places; the middle atmosphere is starting to cool down a bit; and the dust lifting centers seem to be petering out,” said Richard Zurek, Chief Scientist of the Mars Program Office at the Jet Propulsion Laboratory (JPL), the birthplace of all NASA’s Mars rovers and orbiters. “What this means is that more dust is falling out of the atmosphere than is being raised into it,”elaborated Zurek, who is also Project Scientist of the Mars Reconnaissance Orbiter (MRO) mission, which has instrument teams researching and documenting various aspects of this storm. It was great news and the MER team welcomed it enthusiastically. While the dust haze is still widespread, “Opportunity may be getting some energy from the Sun now,” said MER Project Manager John Callas, of JPL. Huge dust storms like this one are actually mergers of smaller storms and they are rare. In fact, these monster storms only appear every three to four Mars years (about six to eight Earth years) on average, luring and challenging today’s atmospheric scientists to figure out how and why local dust squalls turn regional and then grow to engulf the planet. These planet-encirclers are also highly dynamic, wildly unpredictable, and taunting. The atmosphere above any given area, for example, may clear for a bit and then get dusty again, depending on the intensity of activity nearby, and which way and how strongly the wind is gusting. For now, you really do need a weatherman to know which way the wind blows on Mars. The MER team, as well as the entire Red Planet community, has been keeping a close eye on the global maps and movies produced by one of the most prominent Mars weathermen, Bruce Cantor, of Malin Space Science Systems, who has been studying the meteorological conditions there for more than 20 years. Using data and imagery taken by the Mars Color Imager (MARCI), which currently offers the best view of the planet from its perch onboard MRO, he produces a weekly Mars Weather Report on which Opportunity and Curiosity, the Mars Science Laboratory (MSL) rover, rely. The Planet-Encircling Dust Events (PEDEs), as Cantor defined these massive storms, churn up dust from the Martian terrain high into the atmosphere, “in excess of 60 kilometers,” he said. That’s more than 37 miles or seven times higher than the 30,000-foot altitude at which most large passenger jets fly, making for one super-thick, doorstep-darkening, fear-inducing cloud. 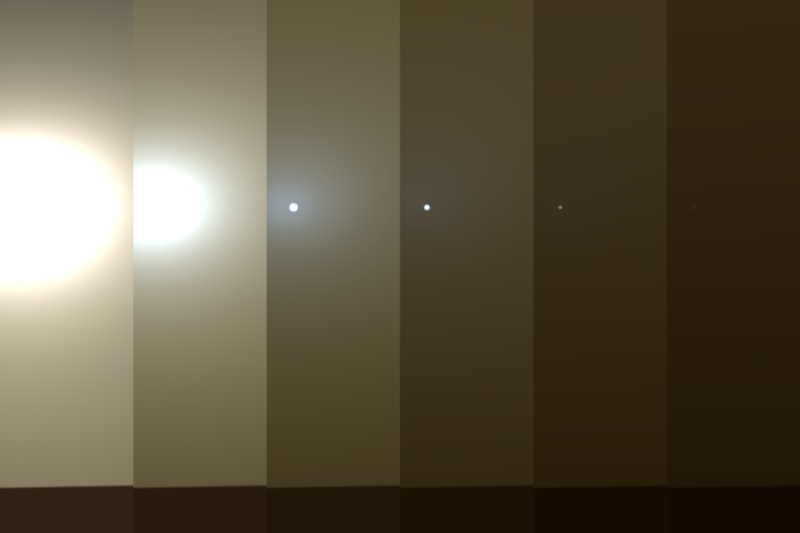 This series of images, created with imagery processed by the Mars Color Imager (MARCI) crew at Malin Space Science Systems, shows simulated views of the path of the ongoing epic dust storm event as it moves across the planet, darkening the Martian sky and blotting out the Sun from Opportunity’s view. The storm is depicted in rusty red swaths. Opportunity and the younger, larger rover, Curiosity are placed in their approximate locations on the map. You can see in this gif how the dust storm increased in size and moved right over Opportunity during the first half of June. As the PEDE intensified in July, the robot remained hunkered down in a kind of hibernation mode waiting out the storm. Consider that Mars has a much thinner atmosphere than Earth. A typical local-size storm on Mars reaches “10-15 kilometers” (about 6-9 miles) in height, Cantor said, while the recent haboob in the Phoenix, Arizona area on Earth reached “about 1.5-1.6 kilometers” (just under a mile) in height in early July. There’s just no comparison to a PEDE. Last week though, Cantor saw signs indicating that the storm is beginning to dissipate. First, he found breaks in the veil of dust obscuring the planet that allowed him to see surface features that have been buried under the haze for six weeks. Then, by employing a measurement system that Mars scientists use to determine the atmospheric opacity, a parameter that indicates the amount of dust in the atmosphere, he assessed that the cloud is indeed thinning, and his latest Mars Weather Report was sunnier than it has been since May. This dust opacity measurement, called a “Tau” in Mars science jargon, allows scientists to gauge and monitor dust in the atmosphere from both the Martian ground and from orbit. Acquiring a Tau measurement from the ground is preferred for surface missions, because rovers and landers are, after all, on Martian terrain, it is more accurate locally, and in the case of Opportunity because the local dust scene is what matters most to this solar-powered rover’s ability to live long and prosper. Opportunity takes this measurement daily as part of her normal routine, using the Sun as the point of reference, which, of course, is a known, steady magnitude light source. Over the 14 years and six months of this mission, MER Athena Science Team member and atmospheric scientist Mark Lemmon, Senior Research Scientist of the Space Science Institute (SSI), who also works on the Mars Science Laboratory (MSL) rover Curiosity, has used this method to consistently determine what the dust opacity or Tau, which in turn helps the team estimate how much sunlight is getting through to the arrays. But when the storm blotted out the Sun at Endeavour Crater and sent Opportunity into sleep mode, taking an atmospheric opacity measurement at Endeavour Crater was impossible. In the communiqué the MER team received from Opportunity on June 11th, the rover reported a Tau of 10.8, “the largest ever recorded on the surface of the Red Planet,” noted Mission Manager Scott Lever, of JPL. When the team did not hear from the rover on the next communication pass, Callas declared spacecraft emergency, because that level of opacity essentially meant the sky over the rover was near pitch black. In fact, the jaw-dropping measurement overtook the record held by the Viking landers, which estimated a Tau of 9 during a PEDE back in the late 1970s; thus, it chalked up another record for MER, albeit one that was not desired. Estimating the Tau from orbit is tricky, but it is possible. By using a terrestrial model tuned for the Martian atmosphere by colleague and MARCI science team member, Michael Wolff at the Space Science Institute, a model that he has used during the last 20 years, Cantor crunched the numbers based on the MARCI data in late July and produced a calculated estimate of a Tau that put guarded smiles on the faces of MER team members: the dust opacity at Endeavour had dropped substantially, to approximately 3.6 with a margin of error of 1, meaning the haze could be as low as 2.6 or as high as 4.6, “a huge uncertainty,” he admitted. 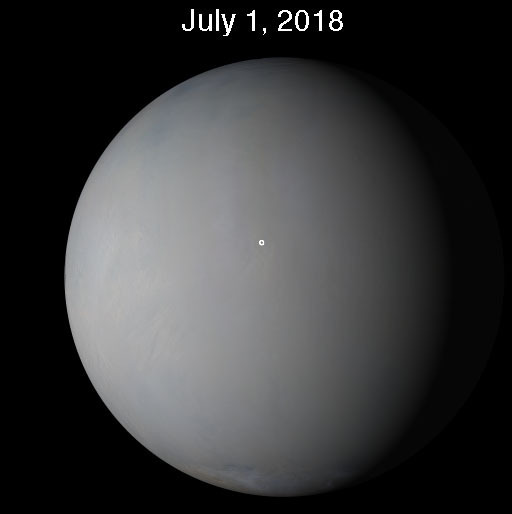 A small local storm that popped up in the northern hemisphere of Mars on May 30, 2018 grew into a massive regional dust storm in days. By mid-June, it ballooned large enough to encircle the planet, shrouding it in a thick cloud of dust. The image above, taken by the MARCI – the Mars Color Imager – onboard the Mars Reconnaissance Orbiter (MRO) and processed by Bruce Cantor at Malin Space Science Systems (MSSS), shows the latest global view of Mars on July 1, 2018. The small dot near the middle is where Opportunity is hunkered down waiting out the Planet-Encircling Dust Event (PEDE). Although those numbers lifted MER spirits, anything over a Tau of 1 can be troubling, and so each of those numbers is still high enough for everyone on the team to remain concerned and focused. The MER ops team, however, isn’t sitting around as they wait, but rather working even harder, if that’s possible. The team officials are hard at work putting together a plan to recover the rover when Opportunity phones home, assuming, of course, that she does, and other team members are contributing to that process in whatever ways they can. The ops engineers, for example, continue to build strategic communication windows for the orbiters, even though they won’t be used until Oppy phones home. “We’re still building communications windows for nominal uplinks and downlinks so that when we do resume we’re ready to jump in,” explained Lever. Despite all the uncertainty, hope still floats on MER. This series of images shows simulated views of a darkening Martian sky blotting out the Sun at Endeavour Crater. 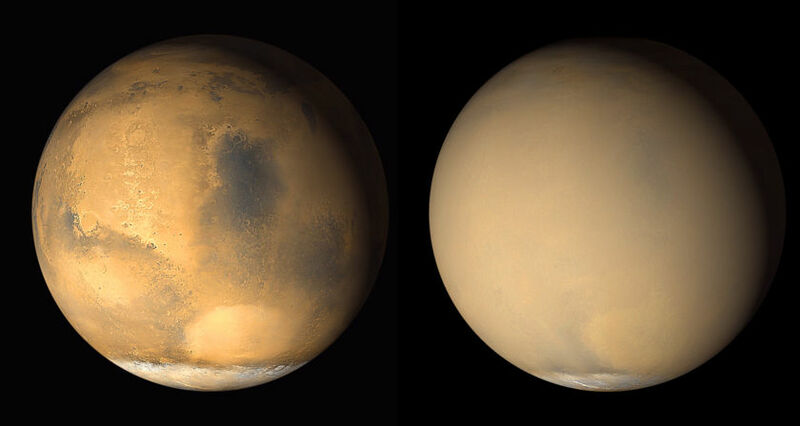 By late July, the storm began to dissipate and the sky lightened, according to an estimate by Bruce Cantor, who uses the MARCI images to produce Mars Weather Reports. Now, the rover can, according to that estimate see the Sun again, and the sky is closer to the middle frames. While the dust haze is still widespread, “Opportunity may be getting some energy from the Sun now,” said MER Project Manager John Callas, of JPL. These MARCI images were processed by the Malin Space Science Systems (MSSS) team. In the midst of the haze, there has been some good news. On June 28th, the team got a letter from NASA HQ informing that the MER mission was granted its proposed one-year extension for the next fiscal year, informed Callas. “All of our operating missions were extended for one year because based on a recommendation from one of the National Science Academies committees, NASA is moving to a 3-year proposal cycle for the extended missions,” Zurek added. About a year from now, if everything goes well, MER officials will be submitting a proposal for its 12th mission extension. “I hope they will still be plugging away, down there on the floor of Endeavour Crater, working their way around the inner part of the rim,” Zurek said. As July came to an end, Mars' orbit brought it closer to Earth than it has been since August 2003. The Planetary Society celebrated that 2003 close approach by throwing a birthday party for beloved Martian Chronicles author, friend, and supporter Ray Bradbury and viewing that approach through the 60-inch telescope at Mount Wilson. This year, NASA’s Hubble Space Telescope photographed the Red Planet and despite the dust storm, there were some large surface features visible. It was, as Mars always is, a sight to see. Although this is not an authentic color view of this scene along the rim of Endeavour Crater, Stuart Atkinson colorized this image to give a feel for what it might be like for Opportunity in all that darkness and dust during the planet-encircling dust event (PEDE) on Mars. A contributor to The Planetary Society’s Amateur Space Images Archive and frequent image contributor to The MER Update, Atkinson has also followed this rover’s journey in his The Road to Endeavour. 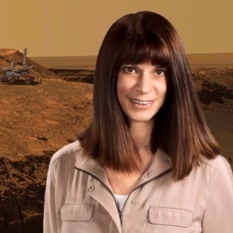 Like the wildfires raging in California right now, PEDEs on Mars don’t discriminate. 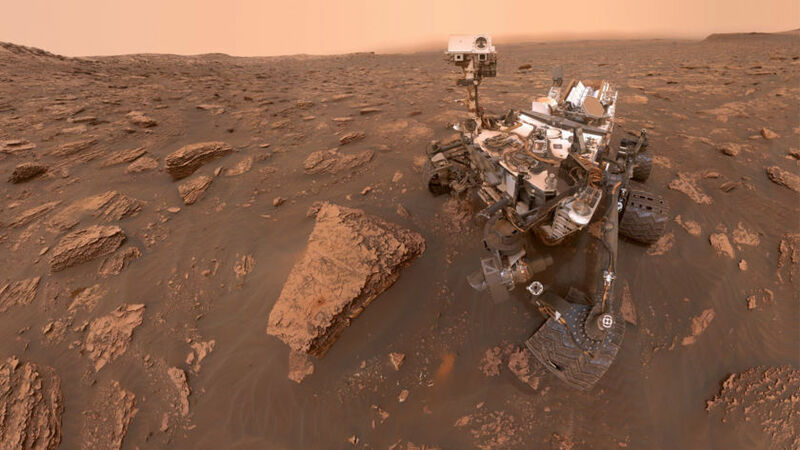 Over on the other side of the planet, the nuclear-powered Mars Science Laboratory, Curiosity, has been able to continue working in Gale Crater. “We haven’t seen any actual storm activity with our eyes, meaning a front coming through that kicks up dust and causes a really thick dust cloud to sweep across the landscape,” said MSL Project Scientist Ashwin Vasavada, of JPL. That’s not all that surprising, given that “the meteorology is so different in that 6-kilometer deep crater there, which kind of has its own system,” Zurek pointed out. Being more or less spared by the storm and not having to rely on the Sun for energy of course has made a considerable difference. Even so, the roving laboratory did report an opacity of “approximately 8.5” on its Sol 2085” (June 18, 2018), which, “is subject to reanalysis,” said Lemmon. Since that peak however, the opacity over Gale Crater has dropped to “below 4,” he said. As a result, Curiosity has been able to work through the storm. “We are faring well and plugging along,” said Vasavada. “We really haven’t had to slow down much at all. We’ve just had to take a little extra precaution with the MAHLI [Mars Hand Lens Imager] to avoid the amount of time we expose the lens. And, while we’re not able to cover the cameras on the mast, we haven’t seen any issues with those. They have pretty big baffles around then so the optics are kind of buried inside,” he said. Curiosity’s engineering cameras are the most exposed. “We have seen a few particles of dust adhere to them, but nothing so far that’s affected our ability to navigate or the ways we use those cameras,” Vasavada reported. Curiosity took this selfie on her Sol 2082 (June 15, 2018), as a regional dust storm was about to balloon in a planet encircling dust event (PEDE). Global dust events on Mars are indiscriminate, much like the fires now raging in California and across the western U.S. While the storm visited Opportunity and ‘sat’ near Endeavour Crater churning up dust and ballooning into a planet-encircling dust event (PEDE) that caused the MER team to suspend all science operations and the rover to shut down, across the planet, Curiosity, at Gale Crater, has been largely unaffected. While Oppy is powered by sunlight, Curiosity, sporting a nuclear-powered battery that runs day and night, isn’t reliant on the Sun. But the Curiosity team is managing the illumination conditions with longer exposure times and scheduling the imaging earlier in the day. “These are all secondary kinds of things and easy to deal with,” said Vasavada. As for when the MER team might hear something, even a beep 'Hello, I’m awake' from Opportunity “could easily be 5-7 weeks,” Lemmon estimated, or when the atmospheric opacity has dropped to around a Tau of 2. In a comparison with the 2001 dust storm, scientists corroborate that estimate, predicting that the opacity at Endeavour Crater should drop down to 2 or so sometime in September – “if things track the way they did in that storm,” qualified Zurek. Nevertheless, the MER ops team is continuing to vigilantly listen every day for the rover during the programmed fault communication windows, as well as through the Deep Space Network (DSN) Radio Science Receiver (RSR), as reported in last month’s MER Update. The team has also been sending a command at least three times a week to elicit a beep if by some unexpected chance the rover happens to be awake. “All is quiet,” summed up RP Paolo Bellutta, who is hoping to chart Opportunity’s next drive sometime before the end of the year. The gold line on the image on the left shows Opportunity's route from the Eagle Crater landing site to Cape Tribulation, which is north of her current location in Perseverance Valley. The base image for the map is a mosaic of images taken by the Context Camera onboard the MRO. Larry Crumpler, of the New Mexico Museum of Natural History and Science, provided the route. Right graphic shows the rover’s movements up to Sol 5100 (May 29, 2018) and her approximate current location. 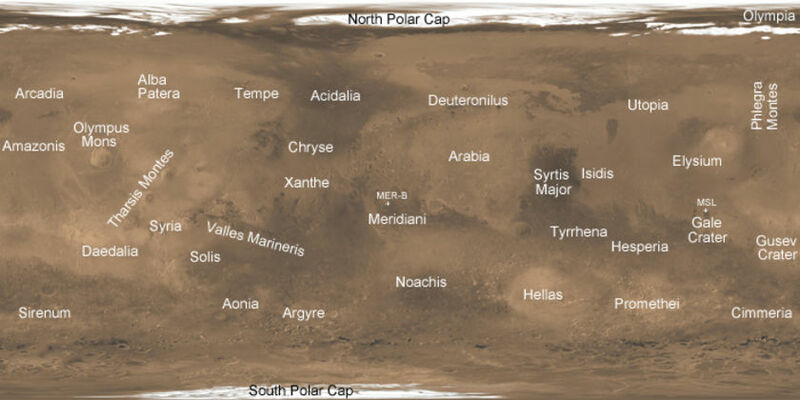 Phil Stooke, author of The International Atlas of Mars Exploration Volumes 1 and 2, (Cambridge University Press), of the University of Western Ontario, Canada, documented this graphic with sol and site annotations. The base image was taken by the HiRISE camera also onboard MRO. What the MER team knows for certain is what they still don’t know. “There are many different scenarios and many different possibilities when it comes to what state, what condition Opportunity is in,” said Lever. “I’ve shot back and forth between all the different scenarios, but we’re guessing here. 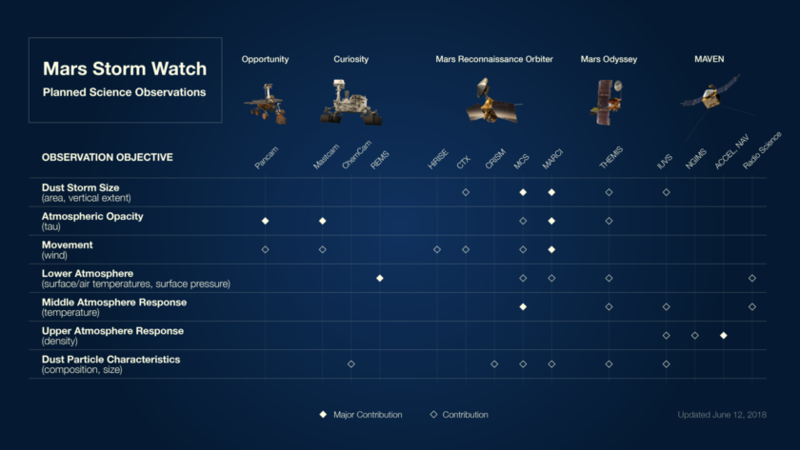 We will not have any answers until we hear from Opportunity and get some actual data,” he reiterated. There are however also a number of other factors to take into account. Although Opportunity may be able to see the Sun now, it may take a while for her to recharge enough to rise and shine. Also, there may be dust on the solar arrays that really diminish the rover’s power production. Opportunity is about hallway down Perseverance Valley pictured in this orbital image taken by the HiRISE camera on MRO on the left. You can see the notch where the valley cuts the crater rim in lower left quadrant of image. Its branching pattern becomes apparent in the center of image. The rover has been hunkered down about halfway down the valley since early June 2018, under a veil of Mars’ rusty red dust not far from where the rover took the image on the right. But soon, if not immediately after sending that downlink, Opportunity shut down and went to sleep. The team has not heard so much as a beep since then. But how exactly she shifted into sleep is not known. While there is a possibility that the rover simply shut down and went into DeepSleep after sending that downlink to Earth, the ops engineers will still have to tend to her when she wakes up. Most of the ops team engineers believe that the rover’s extreme, never-before-seen low power level of 22 watt-hours, combined with the record-breaking Tau of 10.8, had to have tripped the low-power fault shortly after Opportunity sent that missive. That fault automatically shuts down all the robot’s systems except for the clock. The team does know for sure that the uploss timer faulted, because it was set to expire after 28 days and was sent up during the last uplink to the rover on Saturday June 10th, Oppy’s Sol 5110. “So that expired on July 7th,” said Nelson. The uploss timer is a kind of “watchdog timer,” standard to all operating robotic spacecraft. The MER engineers sets this timer every time they command the rover. If it times out and faults, it’s an indicator to the rover that there may be a problem, and the robot is programmed to go through a series of steps to rectify the situation, including phoning home during a preprogrammed communication window. Opportunity used her Pancam to take the self portraits above, in January 2014 (left), when her solar arrays was coated in the powdery Martian dust, and in late March 2014 (right) after the Martian winds whisked off much of the dust from the solar arrays. As the Martian winds giveth, they also taketh away, enabling this robot to live long and prosper. The MER team is hoping as the global dust event decays, residual winds will clear some of the dust that has likely coated the rover’s solar arrays. The recovery plan, said Nelson, consists of three phases: 1) a listening phase to determine when the rover is trying to communicate with Earth and what mode or fault the rover is in; 2) a recovery phase wherein the team acquires more information about the rover’s state and health, re-sets everything that has faulted, confirms the status of the batteries, turns on the UHF antenna, and whatever else it takes to return the vehicle to a nominal state; and 3) a final check out phase during which the team will characterize how much dust is on the lenses of the camera, taking some Taus, and calibrate the Pancam Mast Assembly and the High Gain Antenna, and generally checks out the rover to make sure that nothing got damaged during the storm. “Once we have decided, from an engineering standpoint, that the vehicle is in good operational state, we will give the ‘keys’ back to the scientists to continue their operations,” Nelson said. When Opportunity does take in enough sunlight to recharge and wake up, if the mission clock faulted, that will override everything else and the rover will be in that fault mode, Nelson said. “If we recover out of that, the next priority, the next fault on the list is the uploss fault, but not until we recover the mission clock will the rover’s flight software recognize the uploss fault.” From there, the engineers will address the low-power fault. Not everyone agrees the clock necessarily faulted. If the Tau dropped from 10.8 the following day, and the rover took in enough sunlight to boost her energy, “it is possible that the rover was able to produce enough energy to keep the clock ticking,” said Lever. Unreal. This image of the Mars Exploration Rovers promo picture against a backdrop of the notched western rim of Endeavour Crater was creatively processed a few years ago by Stuart Atkinson. But right now, it seems to feel like it could be a glimpse into the dusty, dark scene Opportunity is enduring, though the rover isn’t outfitted with panther lights. A contributor to The Planetary Society’s Amateur Space Images Archive and frequent image contributor to The MER Update, Atkinson has also followed this rover’s journey in his The Road to Endeavour. The good news is that there is “probably only a window of a few hours in which the vehicle will wake up each day, roughly between 8:30 to 1:30 Local Solar Time (LST),” said Callas. While that is much better than having to search through an entire 24 hours and 39 minutes every Martian day, “it will complicate things,” he said. In addition to developing a strategy for recovery, the engineering team will do some testing on the ground with two engineering rover testbeds at JPL, said Callas. In its fury, the dust storm that turned into a planet-encircling dust event (PEDE) presents “an unprecedented opportunity to learn more about Mars, and the many challenges that it presents for exploration,” as Jim Watzin, Director of the Mars Exploration Program at NASA HQ, defined it in a NASA teleconference on June 13, 2018. NASA is all in, directing all its assets at Mars to enable scientists to observe and study this rare, global event from many different instruments and perspectives. The storm was “just days away from meeting the classification of a planet-encircling dust event,” Rich Zurek, the Mars Program Office Chief Scientist at JPL, said during the teleconference. He was right. Meanwhile, NASA’s orbiters at Mars are continuing to study various aspects of the PEDE. The two primary instruments on MRO that are tracking this storm are MARCI and the Mars Climate Sounder (MCS), which measures the temperatures in the middle atmosphere. Since the dust cloud encircling Mars blocks the orbital cameras’ views of most of the Red Planet, those instruments have been focused on the south polar area because the dust is not so extensive there. “As the dust kind of clears out, we will start trying to image other areas again as the surface features reappear,” said Zurek. “These storms are pretty much the major component of inter-annual variability for the Mars climate, meaning they are the biggest change is from year to year as you go forward.” Said Zurek. The other notable factor is that the local dust storm that triggered this PEDE started out like many of the others do. It began in the high northern latitudes and followed the Acidalia storm track, cruising through Chryse and nearby Meridiani Planum and Opportunity, as reported in the last issue of The MER Update. “Normally those storms will go into the southern subtropics before they expand into a regional storm or they just die out,” said Zurek. The major Martian regions are show in this global map, produced by Malin Space Science Systems (MSSS) personnel who processed the images and provided the addons. Predicted to soon become a planet-circling dust event, the storm first formed in late May over the Ares III landing site featured in the book The Martian. Subsequent Mars Weather Reports from Bruce Cantor alerted the MER team. The storm quickly gained momentum along the Acidalia storm-track into Xanthe Terra, and by June 1st it encompassed an area from eastern Valles Marineris to north central Arabia Terra, and would soon temporarily stall right over Opportunity. The fact that this storm took a while longer than other storms to develop into a PEDE, also makes it interesting for the scientists studying these huge tempests, one that may provide them with additional clues about how local storms develop into such big events. Since the winds tend to blow up from the bottom of Endeavour, Opportunity, which is parked inside the crater’s western rim halfway down Perseverance Valley, is positioned well to catch any dust gusters that may blow by. Time and Mars will tell. Two images, taken about a month apart in 2001 by the Mars Orbiter Camera (MOC) onboard the now decommissioned Mars Global Surveyor orbiter, show the dramatic change in the planet's appearance when a planet-encircling dust event grew and became globally distributed. This was the first planet-encircling dust event that NASA’s Mars Exploration Program witnessed in 20 years of constant observation. Another one followed in 2007 during, which Opportunity survived. This recent PEDE is bigger and ‘sat’ at Endeavour and churning up dust for days. If however “things track the way they did in that storm,” said Rich Zurek of the Mars Program Office at JPL and MRO, Opportunity could phone home sometime in September this year. Yes, human beings who are exploring Mars and blazing trails on NASA’s first overland expedition of Mars with the help and undaunted determination of a colleague and field geologist that happens to a robot hero. Despite the darkness of the past couple of months, if history tells anything about this legendary mission, it’s that positive thinking and belief in the team’s collective capability and ingenuity makes all the difference in meeting the challenges of exploring Mars. 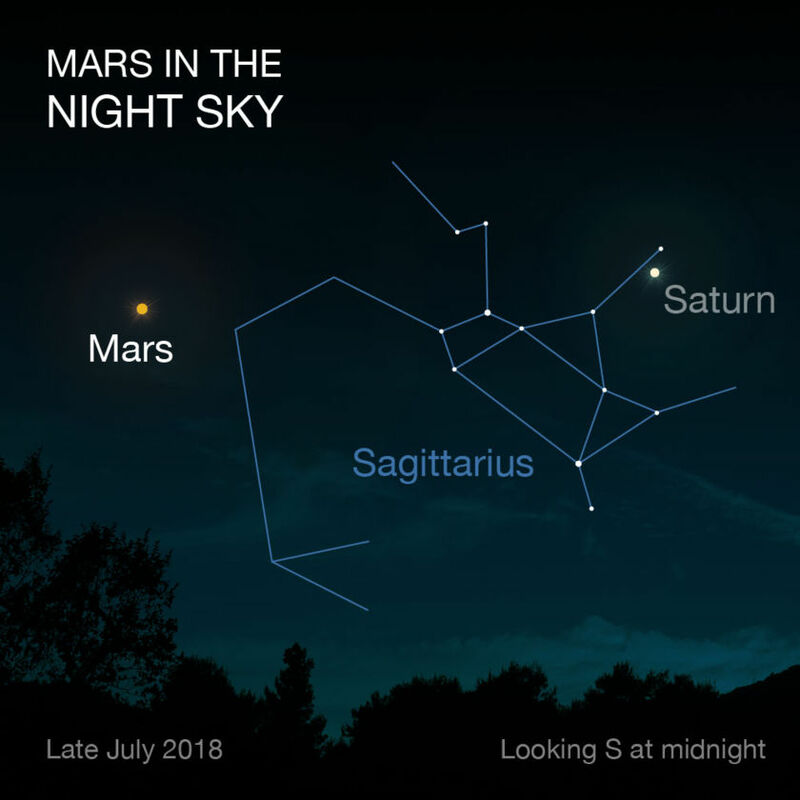 Although Mars appeared brightest from July 27 to July 30, 2018 and its closest Close Approach or the point in Mars' orbit put it closest to Earth, was July 31, 2018, you’ve still got time to see the planet in the night sky for another couple of weeks. By mid-August, Mars will become fainter as Mars and Earth travel farther away from each other in their orbits around the Sun. Luck is what happens when Opportunity meets preparation. So you got half that equation covered. Maybe you should send another rover up called Preparation. Always impressed by our intrepid robot explorer. One day the project will end, as it must, and I hope it gets due recognition. I'd love for a commemorative day designated in mars time. First holiday marked on the martian calendar. Schiaparelli's famous Mars map was made in 1877. Can't believe that in less than 150 years we went from crude hand drawn maps to in-situ observations of planetary dust storms. Opportunity is not a "robot field geologist". Or any other kind. It's simply a tool used by geologists to explore remote locations. Suich hyperbole denigrates human achievements and exaggerates robotic capabilities. Or should I call my microwave a "robotic cook" just because I can program it for certain tasks? Likewise phrases like the "help and undaunted determination of a colleague and field geologist that happens to a robot hero" are an unnecessary anthropomorphism. It's a machine. It does not "help", it does not have "determination", it cannot be "daunted". Or should I acknowledged the help, determination, and undaunted ability of my car next time I do a big road trip? I suggest less hyperbole about the light levels. The light may be much dinner than normal, but I have seen no evidence of darkness. Thanks for sharing, it's a real life adventure! AJSR, Thanks again for a great update! I hope you can get a follow along with then recovery engineering the team will need to do in recovery of the pretty lady, MER-B, aka: Opportunity. I'm hoping she survives and I like RoostyScoots' idea of the 1st Martian memorial day for this mission, on Mars time, regardless of when it ends. If they do this, I also hope they select the landing day as the memorial day for this mission. It is the 2nd huge step for mankind into space. Apollo took the 1st huge step. Mercury taught us we can survive in a space environment. Gemini taught us how to live and work in it. Skylab showed us in what ways things and how life is affected in space environments. ISS is carrying on the Skylab science and engineering testing of its own. Combining all of that is taking us back to Luna first (drat), over Mars first. Grrrr... Anyway alls is good since we are pushing outward on a plan, though not my personal preference plan of Mars first. Long live the pretty lady Opportunity! Back to Mars science work now. I've been busy helping out with the science side in my retirement time.